Before the holidays, WIND Mobile stated it would release the BlackBerry Classic in January, and the company is now showing the familiar ‘coming soon’ tag on its website. While pricing is missing, it’s expected to see the Classic available for $500 outright, or $50 on the WINDTab. The BlackBerry Classic went on sale December 17th in Canada and features a 3.5-inch display, a 1.5GHz Snapdragon S4 processor, 2GB of RAM, a 2515mAh battery, an 8MP camera, a 2MP front-facing camera and Blackberry OS 10.3.1. The main attraction is that the Classic brings back the trackpad and the ‘belt’ row of navigation buttons (call, menu, trackpad, back, and end buttons). 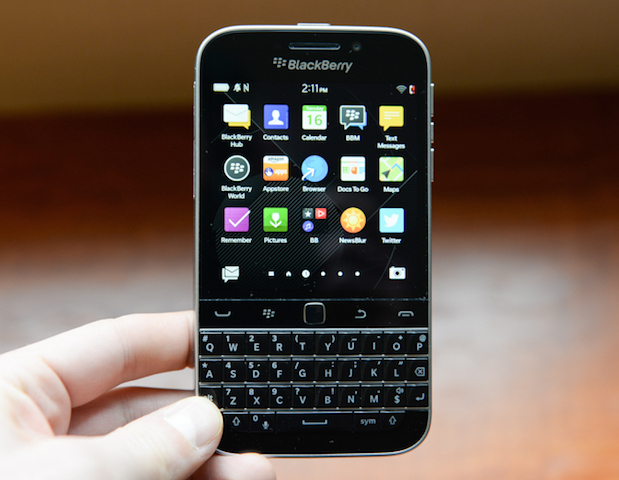 Update: WIND Mobile has officially released the BlackBerry Classic. The price is $499 outright, or as low as $0 on a $60/month WindTab plan.